We herewith announce a series of practical and theoretical trainings based on the new developments in imaging technologies. 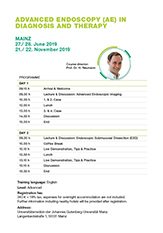 The aims of these intensive workshops are to maintain and improve GI endoscopic skills especially when using advanced imaging techniques in combination with advanced endoscopic techniques such as ESD. There will be a combination of interesting lectures explaining the different techniques, showing examples of daily practice combined with a series of live procedures and expert-guided hands-on trainings. See the complete training programme here. Discover the innovative Multi Light™ technology for improved detection and characterisation. To get first impressions of working with our innovative endoscopic system ELUXEO™, a new training module on the application of BLI Imaging for Barrett’s oesophagus (BO) will be available here. 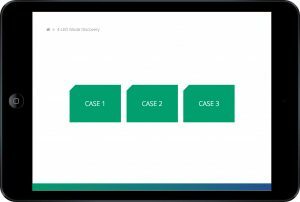 This unique interactive training tool enables endoscopists to see how well they detect and delineate early neoplasia, how they perform compared to other experts and how technologies like BLI may improve their clinical practice. The module was developed by Prof. Jacques Bergman from the Department of Gastroenterology and Hepatology at the Academic Medical Center in Amsterdam/Netherlands. Experience the advantages of enhanced imaging technology in online practice. The content you are trying to access is only available to members. Please log in or register to see full content.